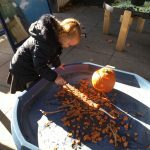 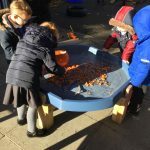 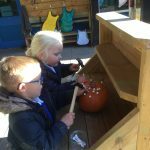 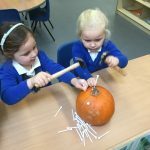 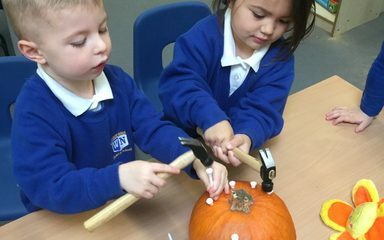 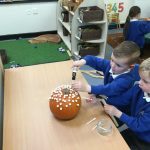 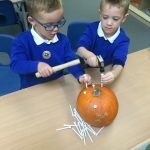 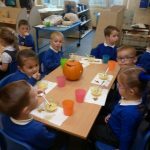 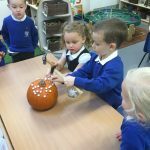 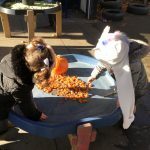 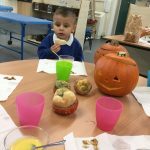 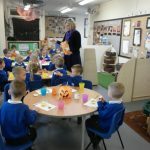 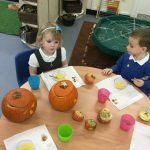 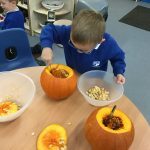 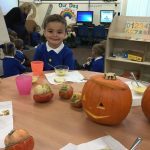 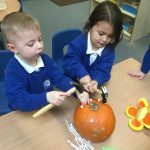 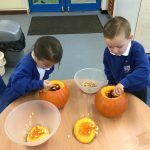 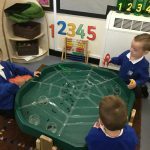 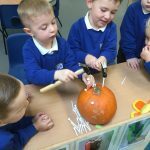 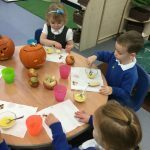 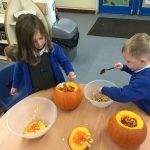 Last week in Nursery we enjoyed lots of activities around Halloween. 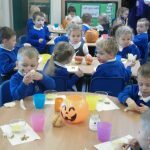 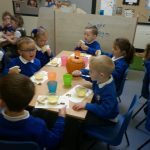 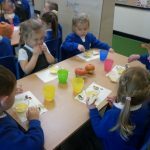 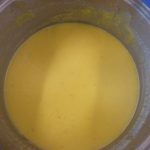 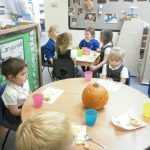 We even had our own Halloween party after making pumpkin soup which was especially yummy. 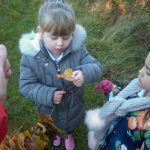 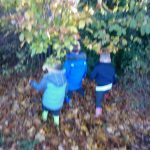 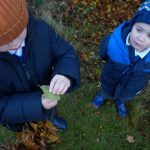 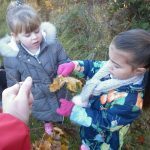 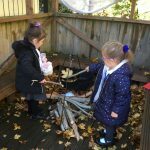 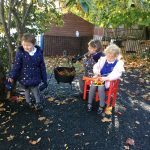 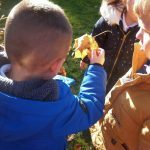 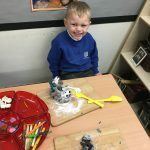 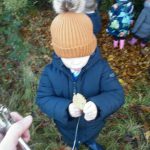 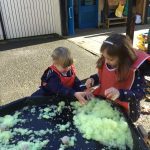 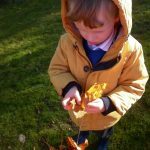 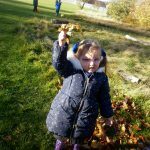 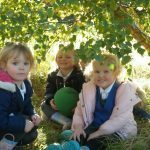 We enjoyed lots of messy activities too and on Forrest School Friday we began making a leaf wreath to hang in our garden. 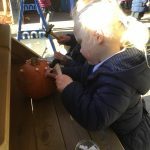 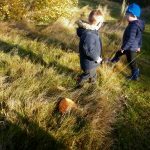 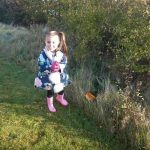 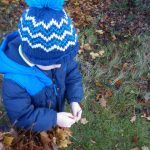 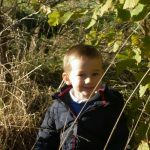 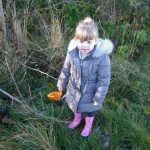 We also took our pumpkins that we had finished playing with, up onto the top field, for the animals and small creatures to eat. 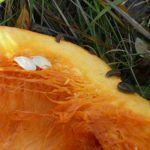 When we went back in the afternoon there were already snails and slugs eating the pumpkin. 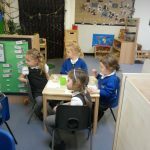 What a busy week we had!